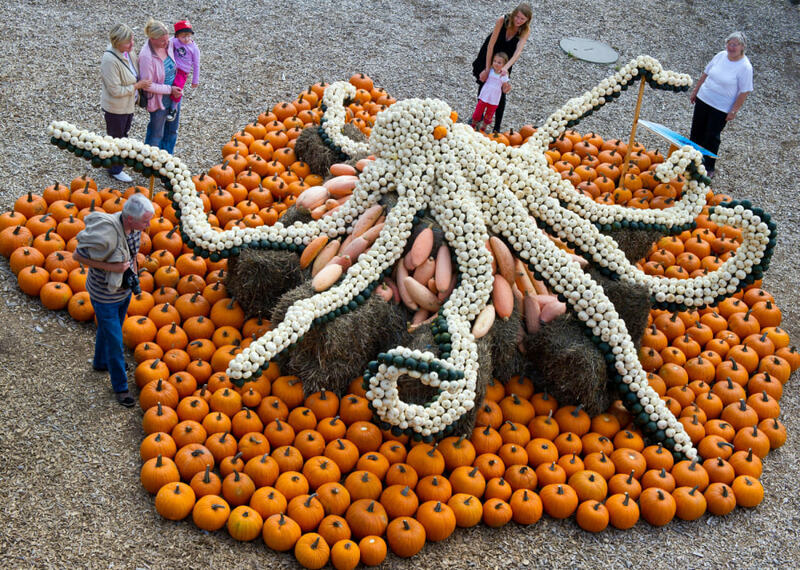 Visitors look at an octopus made out of pumpkins at the pumkin exhibition of the asparagus and experience farm Buschmann and Winkelmann in Klaistow near Beelitz, northeastern Germany on August 31, 2011. 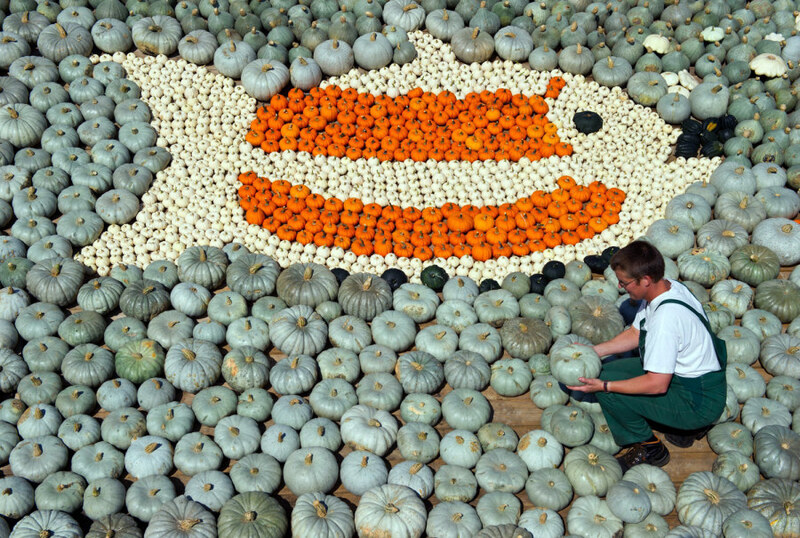 An employee arranges pumpkins to form a fish at the pumkin exhibition of the asparagus and experience farm Buschmann and Winkelmann in Klaistow near Beelitz, northeastern Germany on August 31, 2011. 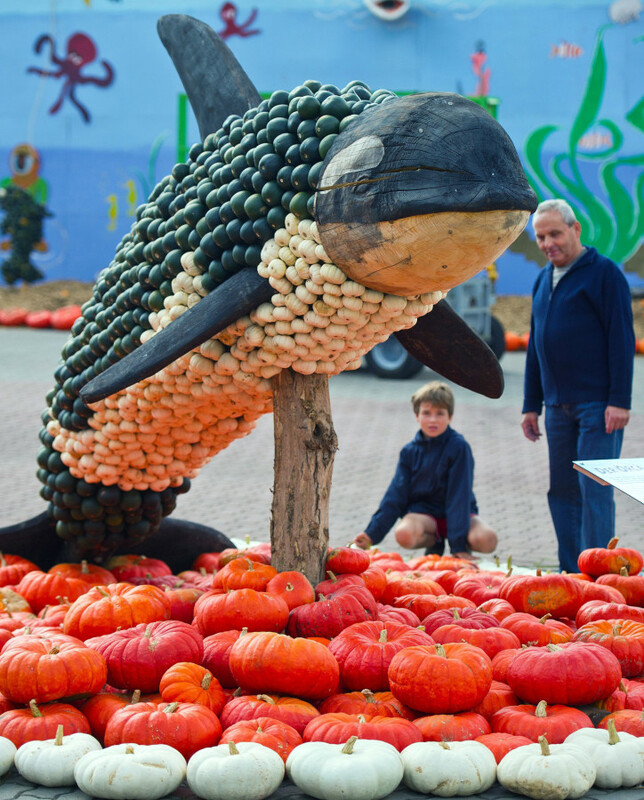 Visitors look at a whale made out of pumpkins at the pumkin exhibition of the asparagus and experience farm Buschmann and Winkelmann in Klaistow near Beelitz, northeastern Germany on August 31, 2011. The exhibition which opens on September 1 , 2011, contains over 100,000 pumkins in 400 different varieties. ... and I thought carving a pumpkin was a lot of work! Who knew there were so many varieties of pumpkins?